As should be obvious to regular sciblogs readers, this is Vaccine Awareness Week. 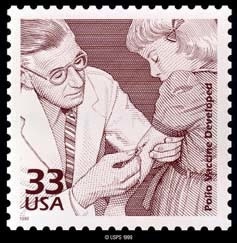 Rather than focus on anti-vaccine views, I’d like to present a few links with commentary as some sort of starting point to encourage reading about vaccines, mainly focusing on the origins of the idea of vaccination and a very brief conceptual outline of the basis of more modern vaccines. If current-day information is your interest, you are best to visit one of the sites listed in my Sources for medical information for non-medics and non-scientists. The detailed history of the development of the modern vaccine is a very long and complex story, one I am not going to relate here. My focus is on the basic conceptual principles. The idea of inoculation is surprisingly old. A basic theme is that of observing that those that survived (a modest) infection seemed to not suffer it again: they gained protection somehow. From these observations people seemed have adopted simple procedures to deliberately introduce small infections in their young. If you leave aside his opening remarks about bioterrorism, one good read is Stefan Riedal’s brief history of inoculation, focusing on smallpox vaccination. Don’t be put off by the formal source – it reads more as popular science history rather than formal research literature. Historically, cutaneous leishmaniasis has been the focus of vaccination attempts, probably because it has been known since antiquity that individuals who had healed their skin lesions were protected from further infections. Bedouin or some Kurdistani tribal societies traditionally expose their babies’ bottoms to sandfly bites in order to protect them from facial lesions. Another ancient technique practised in the Middle East has been the use of a thorn to transfer infectious material from lesions to uninfected individuals. 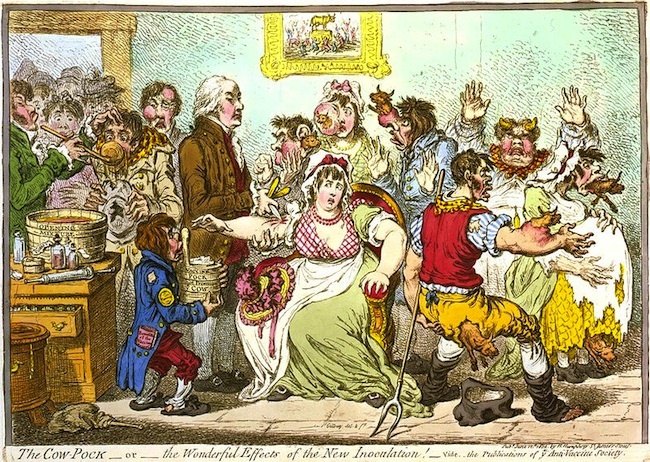 A well-illustrated informal history of vaccination can be found on Adam Blatner’s website. For both cowpox and leishmania inoculation, the concept is of introducing a small, somewhat controlled, infection that will hopefully induce immunity by placing some of the pus from a wound from an infected person on the uninfected person. While simple in concept, direct inoculation like this also carried risk. In introducing infection from a wound from another person, there is the risk of spreading other diseases. There is also the risk of creating a carrier infection, which will go on to cause the full disease in others. Some of the inoculated themselves might contract the disease and suffer the consequences. You can think of vaccination as a refined form of inoculation that tries to avoid the risks associated with crude inoculation of pus from a wound (or the like). You’ll have heard of how the first smallpox vaccine was developed, how Edward Jenner tested the idea that cow maids who got cowpox didn’t get smallpox by infecting a boy, James Phillip, with a cowpox from a cow maid, Sarah, then later testing James’ reaction to a smallpox inoculation. Jenner developed this into a cowpox vaccination to prevent smallpox infection, put this on a sounder basis and popularised the concept. The original idea didn’t start with him – history predates the basic concept – but he did put it on a better basis and encouraged vaccination of communities. The word ‘vaccine’ comes from the Latin for cow, vacca. Poorly administered trials of Jenner’s idea caused, rather than prevented, smallpox. Unsurprisingly this caused concerns over introducing disease, not preventing it. Some religious groups – the original ‘anti-vaccinationists’ – objected too. Some of these religious people apparently considered the notion of being ‘infected’ by a ‘lower’ animal abhorrent. Today we are well aware that we have bacteria on and within us, and that our genomes contain relics of ancient viral infections. The anti-vaccine ’movement’ is not new or founded on modern fears, but started from these earlier beginnings with objections no-one would now raise. You can view this opposition as the cycle of whispers I mentioned at the onset on a longer time scale, with new twists on the old themes. But let’s get back to the story. Vaccinating with cowpox, rather than inoculating with smallpox reduced the risk – cowpox was known not to cause serious infection in humans, but could be used to as the basis of preventing a more serious infection. Modern vaccines carry the aim of reducing risk further. A key element to the development of modern vaccines is that they build on research in biochemistry and molecular biology – areas of science not present in Jenner’s day – that have shown that the protection is derived from an immune system ‘memory’ of macromolecules that are part of the infectious organism (virus, bacteria). When something foreign is found in the body, the immune system identifies it and makes cells that specifically recognise the foreign thing and destroys it. If the same person is later exposed to the same foreign thing, the body can react quicker using the reservoir of progenitor cells that generate the cells that destroy the particular foreign thing. The aim in making a vaccine is to present to the immune system something that will cause it to create cells that will be effective against the actual organism, even if the vaccine isn’t the organism itself. Recognising this, something that could only be realised with biochemistry and molecular biology – science not present in Jenner’s day, has allowed the development of a number of ways of making safer vaccines (including inactivated, attenuated, virus-like particle and subunit vaccines, along with some more recent developments). Subunit vaccines, for example, use molecules from the surface of the organism (virus, bacteria) that the immune system recognises both on their own and in the full organism. Since these molecules are not living, they cannot cause an infection. Adjuvants are another aid in making vaccines more effective. Aside from strengthening the immune response adjuvants allow smaller amounts of the immunogenic material to be given. I’m going to leave you with this. I hope that this might be enough to encourage readers on take this further themselves. Although more technical than the intended audience of my article, one blog I should mention that includes a fair bit if immunology is the excellent Mystery Rays from Outer Space. Donâ€™t be fooled by the title: itâ€™s serious science blog!, and a good one at that. What a pile of crap. vaccines are causing more problems than they are helping. Who pays for all this “seed media” stuff? Pharmacy? Hmmm – would you care to back up your assertiions with some verifiable facts, Jen? And please note that the NZ Science Blogs site has nothing to do with Seed media (regardless of their funding sources – nice attempt at the pharma shill gambit there) – we are supported by the Royal Society of NZ, which is an independent scientific organisation. Who pays for all this â€œseed mediaâ€ stuff? Iâ€™m guessing you’ve arrived here via the sidebar at scienceblogs.com. Scienceblogs.com is hosted by Seed, an on-line science magazine. Seed don’t “control” the content of the scienceblogs blogs in the sense of dictating what content should be present. (Past history and the chatter from the writers suggests they’d have an uprising and walk-outs on their hands if they tried to!) Scienceblogs.com is based in the USA. We’re a different site in New Zealand. None of us are “sponsored” by pharmaceutical companies to my knowledge, and in any event we’d be morally obliged to disclose it if it were a conflict of interest. Nice article. I like the historical perspective on vaccination and almost all of the references are new to me. They’ll make a pleasant change from the bioterrorism aspect of vaccines I’ve been reading recently! Just a further note regarding funding, the “we” Alison refers to is the sciblogs platform. Most of the bloggers here are independent and don’t make a dime on our writing. I don’t even have advertising. But thanks for the evidence free comment. Thanks – I have to admit I wanted a more positive angle. My original introduction had words to the effect that I had two minds about writing on vaccination as the anti-vaccine rhetoric is overly familiar to me: it feels a bit like a game of Chinese Whispers being played on a merry-go-round. Each time it goes around a theme is picked up, presented with a slight variation on its theme, then put back down for the next time around the cycle. Modern vaccines.are little if any improvement. Vaccination is a 200-year-old fraud and organised criminal enterprise dressed up as science and disease prevention. The truth is the truth, in spite of wishful, deluded and distorted thinking. I briefly mentioned the history of anti-vaccine movements in my article. I also suggested to readers that the History of vaccines blog was well worth looking at. These two stars seem to have collided with Ben Goldacre tweeting a link to their article on the history of anti-vaccine movements. I haven’t time for more than a skim, but it looks a very even-handed article on what it too often a highly polarised subject. EA: a) most of us are not fortunate enough to read German & so will have to take your word for it that the images show what you’re claiming. b) smallpox has been eradicated in the wild & now survives only under very careful containment in 2 laboratories. 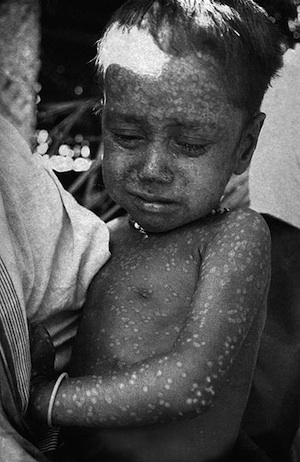 That eradication is due to the efficacy of modern smallpox vaccinations. (Rumination) I’m idly wondering if the Western European “evidence” EA has referred to in Darcy’s thread (but which has yet to appear…) is from Hans Tolzin, the author of the website EA linked to earlier for the PDFs. While google’s translation is patchy, among other things, it is clear he supports homeopathy, which self-evidently does nothing more than placebo. Erwinalber, I worked out that the author had no medical qualifications, but was evidently driven to self-publishing these “books” (the second one is more of a 64-page pamphlet) by his concern for the health of the German People of the New German Empire, and his desire to save their blood from impurities and foreign influences. The second one contains a lot of pictures of people with skin conditions. Some of them are identified in the captions as suffering from scrofula, contagious impetigo, syphilis and “vegetating leprosy”… what this has to do with vaccination escaped me. Most are retouched to a greater or lesser extent; some are drawings. The former of the two contains the same pictures but more text. I am assuming that the *text* is what you find persuasive, rather than the out-of-context images; sadly enough, sick children per se have never been in scarce supply. Since both texts are printed in that old-style Fraktur typeface that gives me a headache, could you refer us to particular passages or particular arguments that you think we will find conclusive? I wasted some time this evening seeing what the WWW had to say about Hugo Wegener’s anti-vaccine writing. It kind of makes sense for the German homeopathic / complementary-medicine people to be so enamoured of what a deranged medical outsider had to say a century ago. It’s odd, though, and kind of sad, to see his works picked up by the English-language section of the Internet, so you find websites with names like “www.mothering.com” linking to the same two scanned copies of the same two publications [he may have written more pamphlets, for all we know, but these are the only ones of which copies have survived*] and saying “Oh look, images of sick children, therefore vaccines = toxic”. Somehow people seem to find the accompanying text more authoritative when they cannot read it. “Look at the photographs!” is a recurring phrase. * No, wait, Peter Baldwin refers to another of Wegerer’s pamphlets, in his study “Contagion and the state in Europe, 1830-1930”. Perhaps there weren’t any photographs in that one so it loses its impact when waved around without translation. It is interesting how homeopaths, etc., all hold sacred some workers from many years before modern medicine as if they were the last word. It’s a bit like a substitute bible. Far enough in the past that they can try mythologise the person and his doings. We need some (pseudo-)science historians around here! 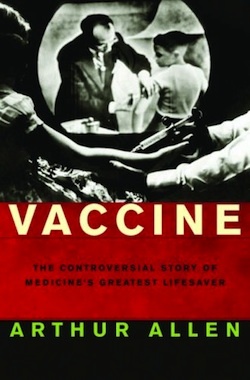 The History of Vaccines now has a potted History of Anti-vaccination Movements. Do explore this site, it has a lot of good articles on vaccination, and despite the title has material on the past, present and future of vaccination.